Information related to mergers and acquisitions (M&As) of credit institutions is awaited as the season of annual shareholders’ meetings is around the corner. Late last year, the central bank said that the number of credit institutions would be cut from the current 34 to roughly 17 to 19. Therefore, it is possible that more M&As will be announced. According to Dau tu (Vietnam Investment Review) newspaper, the most likely targets are banks with overlapping ownerships, small or financially weak financial institutions, and those that have seen their bad debt ratio rising over the past few years. Some banks have been asked by the State Bank of Viet Nam (SBV) to raise their registered capital. However, in case they cannot raise it by issuing more shares, they will have to explore M&As. 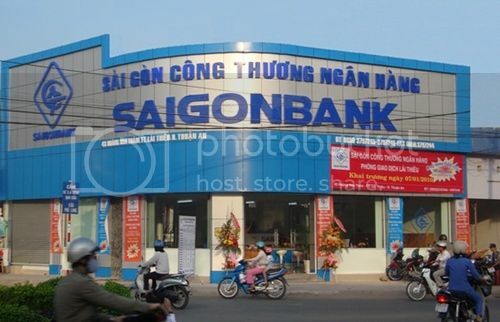 Saigonbank, for example, was allowed to raise its capital from VND3.08 trillion (US$136 million) to VND4.08 trillion, but it has failed to carry out the increase. There are currently at least four other commercial banks that have the charter capital roughly around the level of Saigonbank’s VND3 trillion. Those are Kienlongbank, Viet Capital Bank, Nam A Bank, and VietBank. They will have to increase their capital in order to meet new international standards. According to banking expert Nguyen Tri Hieu, there remain some ailing banks that would probably fall in the central bank’s special supervision list. These banks will have to undertake M&As with others if they do not want to be acquired at zero dong by the central bank. However, experts said that M&As should not be seen as the last resort to help ailing banks avoid intervention from the central bank. Hieu said that M&As must help banks increase their competitive edge and financial status as well as contribute to the sustained growth of the whole banking system. Ailing credit institutions must be unearthed and given a boost through an increase in capital or M&As with strong credit institutions the next time, Hieu said, adding “if that is not possible, it is advisable to allow ailing institutions to go bankrupt”. Besides ailing banks, experts from the Vietcombank Securities said that as the competition in the banking system becomes fierce, small- and medium-sized banks must explore M&As to be able to compete against larger ones if they want to survive.